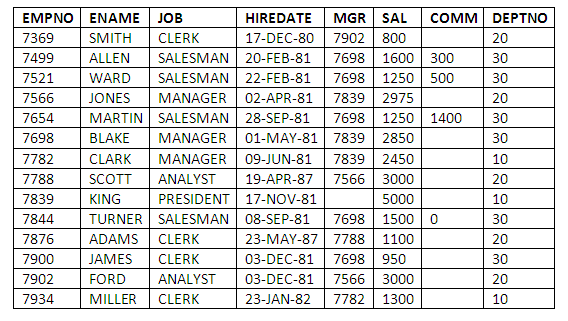 Here Top 15 most used and asked SELECT SQL queries in an interview. I have consolidated in one post. 1) Find the Employee who get the second highest Salary. 4) List out the sum of salaries of employee department wise. 7) List the employee name and salary of all employee whose salary is equal to the average salary of all employees. 10) how I can concatenate the name and salary of the employees?